NEW BRITAIN-The New Britain Bees have a number of promotional events scheduled from the end of July into September. Come celebrate Latin heritage at New Britain Stadium on Saturday, July 21. Latin Heritage Night will involve a special scoreboard announcement along with Latin music, according to the Bees promotional department. Latin players and community residents will also be honored. Family Fun Day is a good chance for families to take their children onto the field. The event will take place on Sunday, July 22. Before the game, fans will have the opportunity to get autographs and take pictures with members of the team. At the conclusion of the game, young fans are invited to race around the diamond and touch each base. Polish Heritage Night is scheduled for Saturday, August 11. There will be a scoreboard announcement commemorating the event, along with Polish appreciation between innings. On Sunday, August 12, dog owners will get the chance to bring their pups to the park, provided they wear a leash and sit with them in the stands. The event is affectionately being dubbed Bark in the Park. There will be a Tape Measure Giveaway on Saturday, August 18. The first 175 fans will receive an 8 foot Stanley tape measure. Also on the 18th is Sting’s (the mascot) Birthday Bash and Kids Club Day. Kids Club members “are invited to come to the game for free,” Paul Herrmann, Assistant General Manager of the New Britain Bees, said. Mascots will arrive from around the league to celebrate “a sort of mascot appreciation day,” as Herrmann calls it. ComiCONN Night offers diehard comic book fans the chance to dress as their favorite comic-book heroes or movie characters. ComiCONN Night kicks off on Saturday, September 8. For more information about any of these promotional events call the New Britain Bees at 860-826-2337. 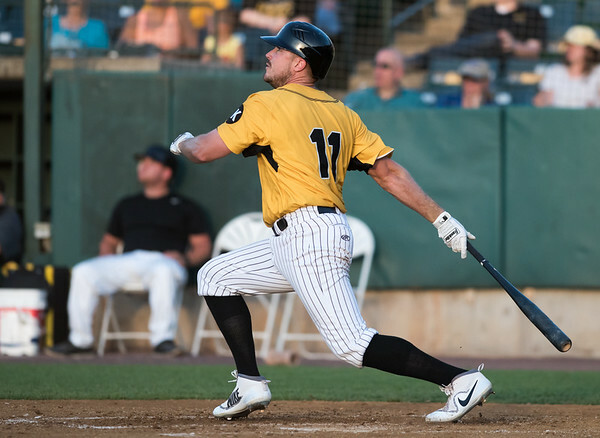 Posted in New Britain Herald, General News, New Britain Bees, New Britain on Tuesday, 17 July 2018 19:23. Updated: Tuesday, 17 July 2018 19:26.